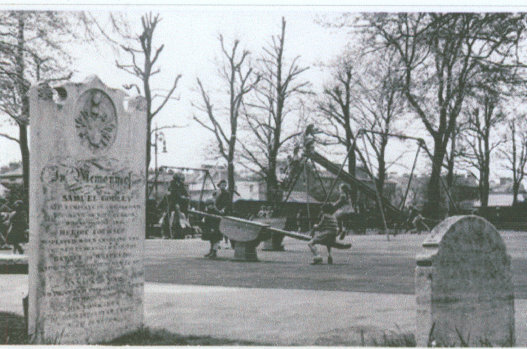 Playground in 1951. The girl in the coat is now Mrs Chapman and she is with her friend Glenda. 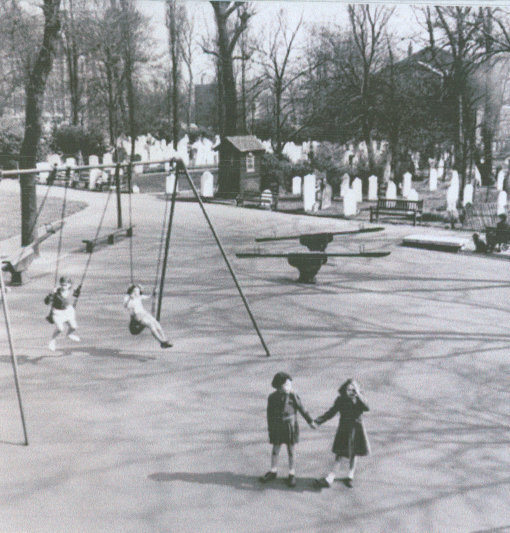 They lived in Winchelsea House, on the corner of Lisson Grove and St John's Wood Road. Westminster City Archives photograph by H Doeling. This was always known as simply “the burial” there was a little hut where the park keeper stood and at tree that looked like a large teepee.